Instead, the Swedish automaker is focusing on electrifying existing models. Volvo is on a roll right now with new model launches. The has become one of the brand’s best-selling models, and the is coming later this year. However, the Swedish automaker has revealed to automaker it won’t be launching any all-new models until after 2020. Instead, like other automakers Volvo is making a big push for electrification, with plans to electrify every model in its current line-up. According to Volvo’s Europe, Middle East and Africa boss Lex Keemakers, the automaker is aiming to have electric models make up 25 percent of its annual sales by 2025. One of the first cars that will be part of Volvo’s electrification plan is the , which will receive a hybrid powertrain this fall and will also be the first Volvo model to go fully electric. Before that, Volvo’s performance brand Polestar will launch its own electric car as a successor to the hybrid 1 coupe, which will resemble the Volvo Concept 40.2. 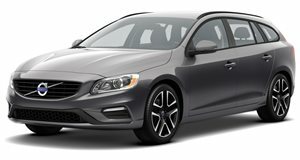 A , which will technically be a new model but is essentially a sedan version of the V60 wagon.